You are currently browsing the tag archive for the ‘Aboriginal’ tag. Colleen Dell, University of Saskatchewan professor and Research Chair in Substance Abuse, has developed a number of resources for addressing substance abuse. Most of the resources can be downloaded for free or ordered (also free) from her website. Take a look at the list of resources here. Several of the resources include music videos and accompanying workshop tools developed through community-based research. Check out the videos below. Also, take a look at a brief clip of Colleen and her therapy dog, Anna-Belle. For more about animal-assisted interventions in healing from substance abuse, check out this part of the website. The Best Start Resource Centre in Ontario, Canada has released a new resource for service providers called Pimotisiwin: A Good Path for Pregnant and Parenting Aboriginal Teens. Pimotisiwin is an Ojibwe word that means following a good way or a good path. The resource is intended to help service providers support Aboriginal children and youth to live a good life, on a good path. This resource is available for free download from the Best Start Resource Centre’s website here. It is important for women to receive clear and supportive information about staying as healthy as possible during pregnancy. 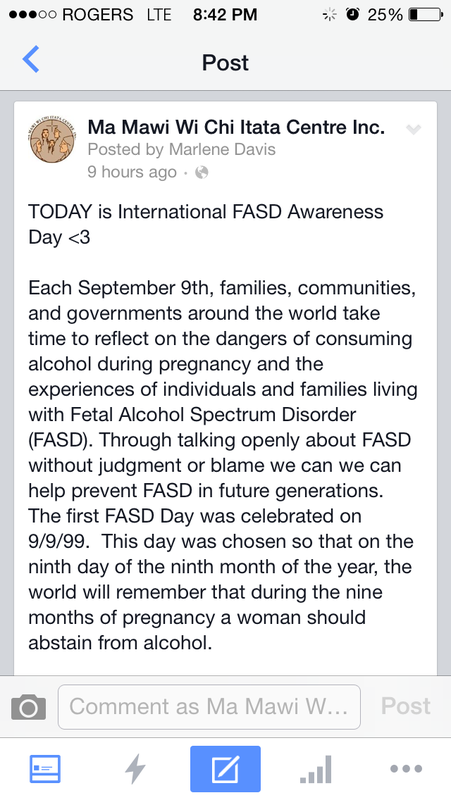 This includes receiving appropriate culturally sensitive information about the potential impact of alcohol on pregnancy and ways of preventing FASD. Women accessing the North Point Douglas Women’s Centre in Winnipeg, Manitoba wanted to get this message out to their community. Working with nursing students on practicum, and with help from the Aboriginal Health and Wellness Centre and Mount Carmel Clinic, they designed the message they wanted women to hear and know: “You are not Alone. Support is available.” Download the poster as a PDF here. Healthy Child Manitoba worked with the North Point Douglas Women’s Centre at the final design and production stages providing: (1) helpful suggestions about design qualities including the final placement of visuals on the posters and brochures, (2) accurate message and content information for the posters and brochures, and (3) the financial resources for the production of the posters, brochures and promotional items. 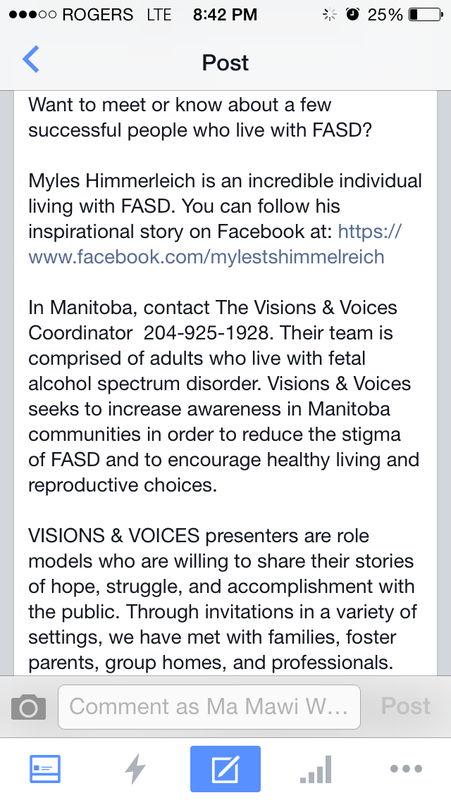 Learn more about other FASD prevention initiatives in Manitoba, including Project Choices and the InSight Mentoring Program, on the Healthy Child Manitoba website.